We can understand the comparison between the light of the Menorah and the dove’s olive branch in several ways. The simplest way makes use of Chazal’s observation that the dove’s statement was an implied jab at her erstwhile host. It seemed to be saying, “All I came up with in my search was a bitter olive branch. But I would prefer throwing myself on HKBH to depending on you!” Accordingly, the enlightenment spoken of by the midrash would be this single lesson in self-reliance. The parallel in regard to the Menorah would be that its oil should be funded by the entire congregation, and not depend on the gifts of individuals. The Menorah illuminates specifically when the entire nation assists in procuring its oil, and does not rely on others. We can take things a step deeper, by way of another midrash. It compares “The dove could not find a resting place” to similar wording describing the Jews exiled by the destruction of the Temple: “She dwelt among the nations, but found no resting place.” The implication of the first verse is that if the dove would have had a choice, it would not have returned – for the reason given above. (This itself is worthy of reflection. The dove was well provided for in the teivah, yet it preferred a bitter leaf it found on its own. In this regard, animals seem more advanced than humans, who will often seize an opportunity to be supported in idleness by others, rather than work at their own sustenance.) So it is with Klal Yisrael. It cannot find a place of rest and tranquility among the nations of the world. If it could, it would not return to a place of confinement. Now, the return of the dove to the teivah was disappointing to Noach. He had hoped to leave. He learned, however, that the earth was not yet restored to a state that could sustain human life. On the other hand, the news was not all bad. Noach learned that the situation had improved from the last time he checked. If he waited a bit longer, it would dry enough that he and his family could emerge. Our people in galus face a similar mixed message. We have found oppression, poverty, hatred and worse among the nations – but never a place to truly rest. This has been tragic – but it brought some good as well. We give off our light – we shine at our best – when we are treated like the olive, which is crushed, beaten, and pressed. And, like Noach, we realize that full redemption is coming. We just need to wait a bit longer. We will take things one step further. An important tool of anti-Semites is to claim that Jews – as a people – possess despicable character traits. Our enemies justify their hatred as a service to mankind, rather than as a product of their small-mindedness and warped thinking. 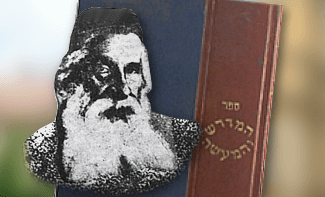 Paroh had this in mind when he appointed Jewish taskmasters to oversee Jewish labor. While suffering usually brings victims together, Paroh hoped to subject these taskmasters to so much pain, that they would treat their own brethren cruelly, rather than with compassion. Paroh hoped that Egyptians would observe this, and become convinced that Jews were worse than animals, and needed to be subjugated. Haman was a master of this art, who according to Chazal took the prize for defaming the jewish people. “There is one people,” began Haman’s genocidal pitch to Achashverosh. Chazal expand this into a strange dialogue between them. Haman argues: The people have abandoned the mitzvos. Achashverosh counters: Surely they will be protected by the Rabbis, the spiritual superstars among them. Haman responds: They are one people. Here is what this may mean. The persecution of Jews used to be sourced in religious hostility, in hatred of Jewish practice. In more recent times, many have seemingly outgrown this form of Jew-hatred, and moved on to a resentment of Jewish gifts and talents. They warn others that Jews are prepared to use their know-how to rule the world. Haman found both of these approaches undignified. He authored a form of anti-Semitism new in his day, one that argued not that Jews displayed superior traits, but that they were characterized by lowly ones. He began his defamation by observing that the Jews were lax in their observance. Why, then, would we hate them for religious practices that they do not keep? “Their beliefs are different from every other people’s.” In other words, they have no rigorous belief system of their own. Rather, their religion is defined by being “different from every other people’s!” Being Jewish to them has no affirmative value. Rather, it means knowing what they are not. Thy are not Christians, or Muslims, or Hindus or Buddhists! We therefore are not going to hate them for practicing a faith from which they themselves are estranged. No, said Haman. We must hate the Jews simply because they are despicable. And he had some choice examples to point to. This is what made him the defamer par excellence. He was able to convince others of his claim, despite the fact that his examples of poor character were entirely atypical of the rest of the people. Were they lax in their observance? Not at all. “In every province…there was great mourning and wailing.” Their reaction to the kings’s edict was davening and teshuvah. We return to our midrash. It is a truism that a key barometer of a nation’s stature is the way it treats its Jews. The greater the nation, the better its attitude towards them. When a country is hospitable to its Jews, everyone gains. They are like Noach’s dove. When it finds a firm place to rest, it is a sign that the tempestuous waters of hatred outside have subsided, and that Israel can bring the light to the world for which it was designed.